Jeff Lieberman is a Lafayette-based energy lawyer who helps mineral clients with title, conveyance, unitization, permitting, and regulatory issues involving oil and gas. Jeff regularly appears on behalf of clients before the Louisiana Commissioner of Conservation and the State Mineral and Energy Board in Baton Rouge. His clients turn to Jeff because of the firm's top-tier reputation for handling complex unitization and regulatory matters, as well as providing efficient, high-caliber title opinions involving mineral transactions. Since the 1930s, Liskow has been building and maintaining a comprehensive title library that covers Louisiana, making mineral-related deals faster and more efficient and playing a key role in facilitating the sale of thousands of acres. 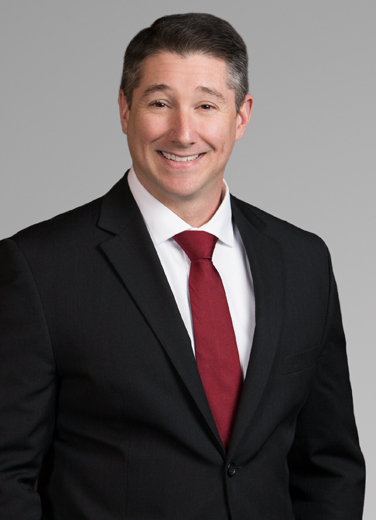 Jeff is a member of the LSU Mineral Law Institute Advisory Council and the Louisiana State Law Institute Mineral Law Committee, and he has given numerous presentations as an authority on Louisiana mineral and regulatory law. Examined title to thousands of acres of Louisiana property and rendered hundreds of drill site and division order title opinions for numerous oil companies, from majors to independents. Created drilling and production units throughout Louisiana and obtained authority for virtually every type of well to serve such units. Part of Liskow legal team representing large oil company in a high-profile dispute with local government that sought to use zoning ordinances to prohibit the company’s permitted drilling operations – resulted in judgment in favor of oil company. Jeff - a former, junior-level tennis competitor, now enjoys spending his leisure time cooking, reading non-fiction, chasing his kid around the house, and weight training. When he finds the time, he also enjoys duck hunting and improving his archery skills.